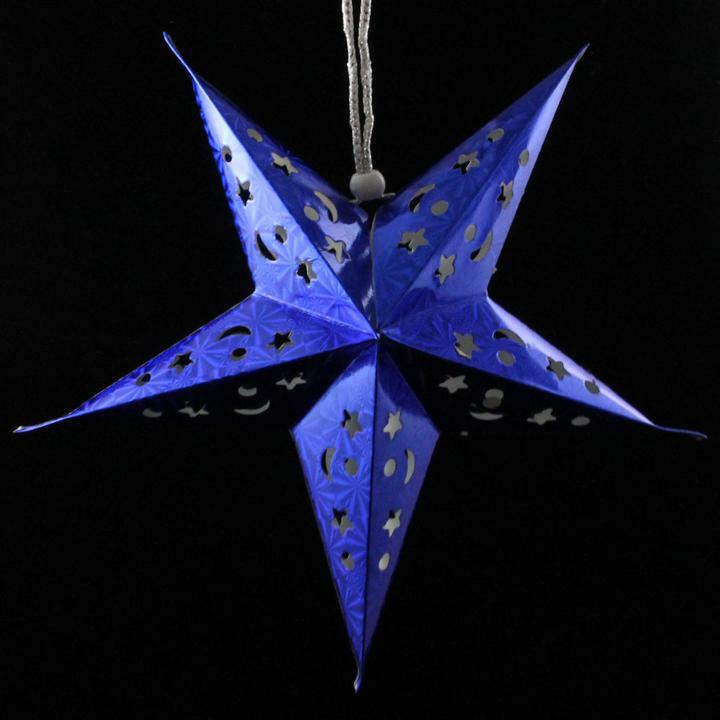 Unique 3D Paper Star Lanterns are available in 2 sizes (12" and 24") and a variety of fun metallic colors. Each star features a hollow center with room for a small portable light source. Paper Star Lanterns are perfect for mood lighting: When lit, this exotic paper star lantern will cast moon and star shadows on your party guest, table or dance floor. Ideal for indoor use but can be used outdoors in good weather only. These versatile stars can be used for decorating, tree topping and as centerpieces. Paper stars are great for decorating homes, parties, festivals and store displays. Easy to assemble with a drawstring closure that doubles as a hanging loop. LED string lights sold separately.